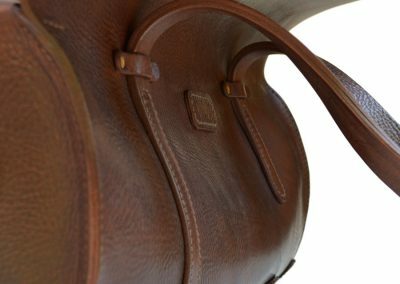 Characterised by its tubular shape, this classic has been re-interpreted by DE BRUIR Studio in leather. 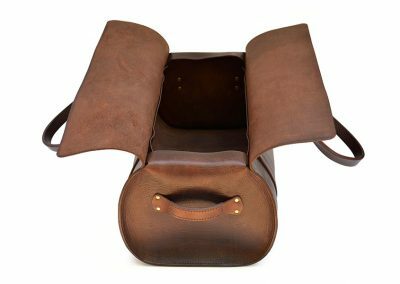 Generous overlapping top flaps allow easy access and can even stay upright, to allow for the occasional overfill of its spacious interior. 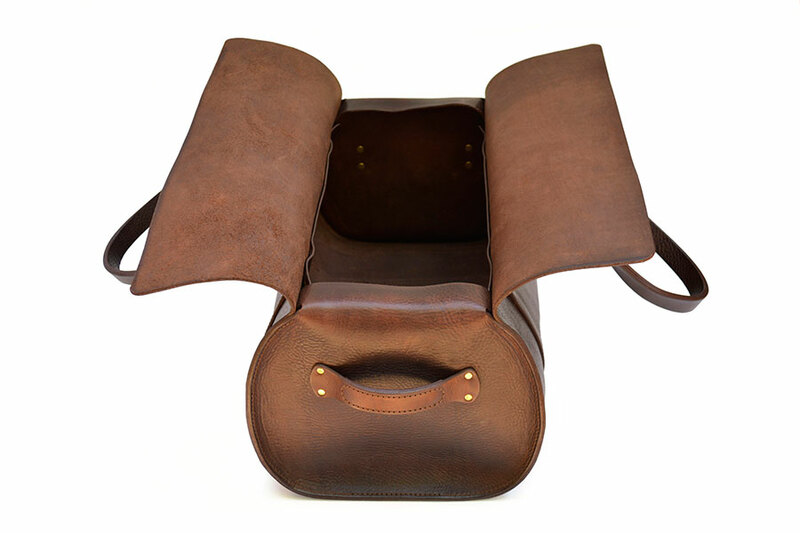 A row of skids protects the base, extending through to carry handles that allow the bag be carried by the side or over the shoulder. 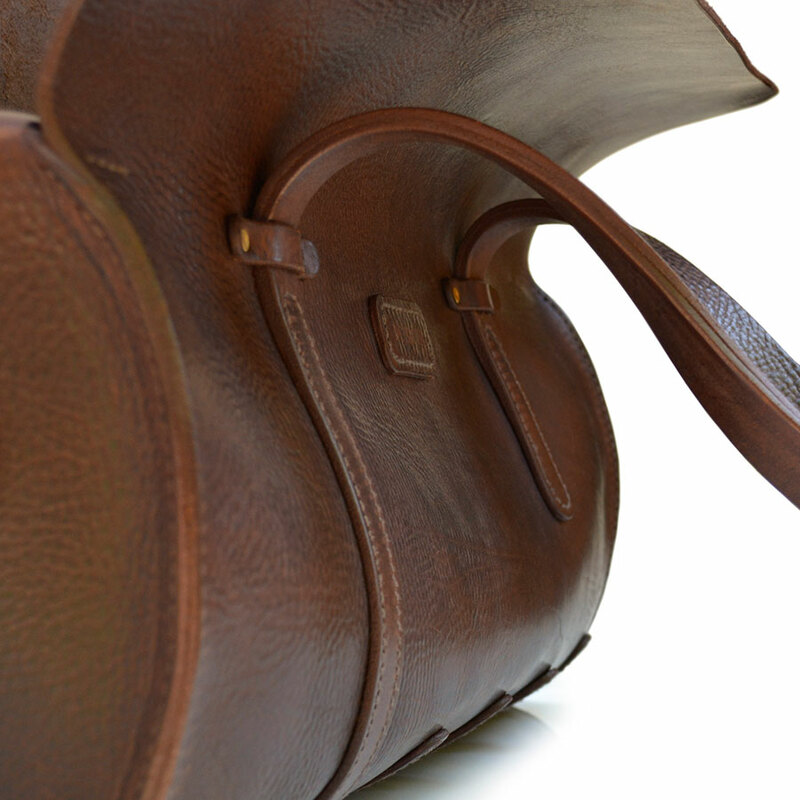 Grip handles are included for ease of movement. 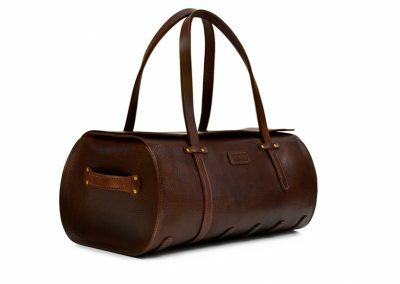 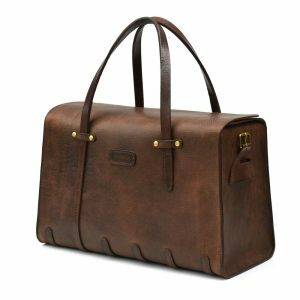 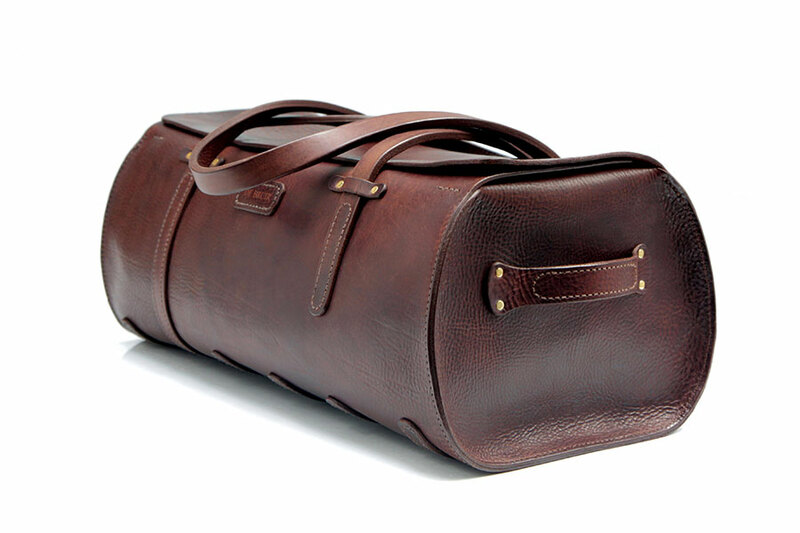 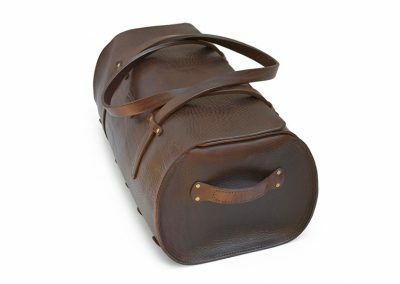 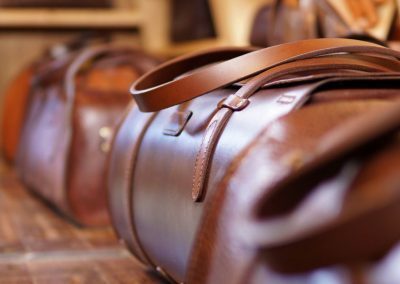 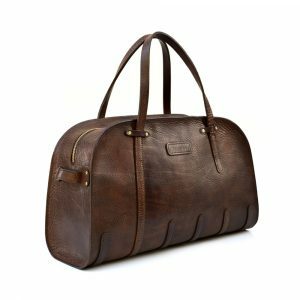 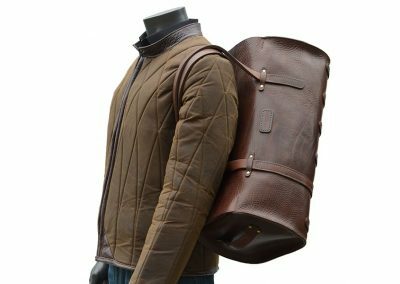 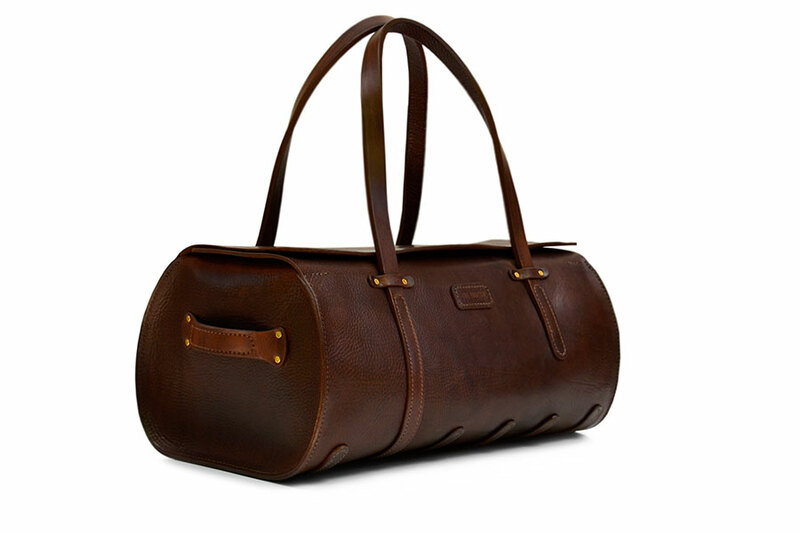 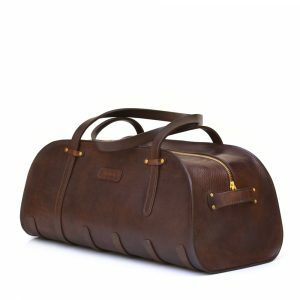 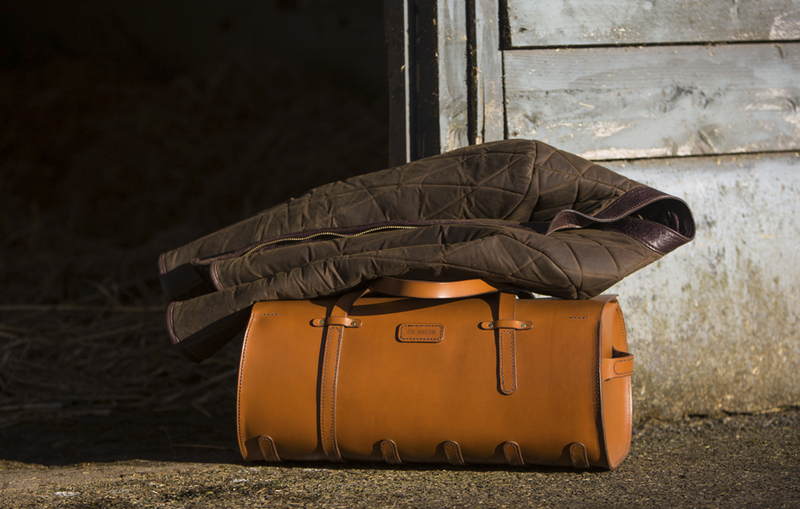 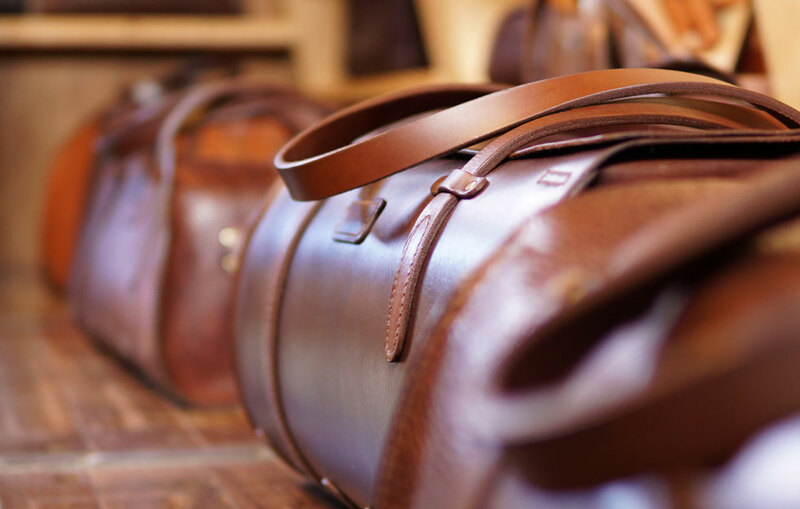 The Duffle Bag is a very casual holdall design. 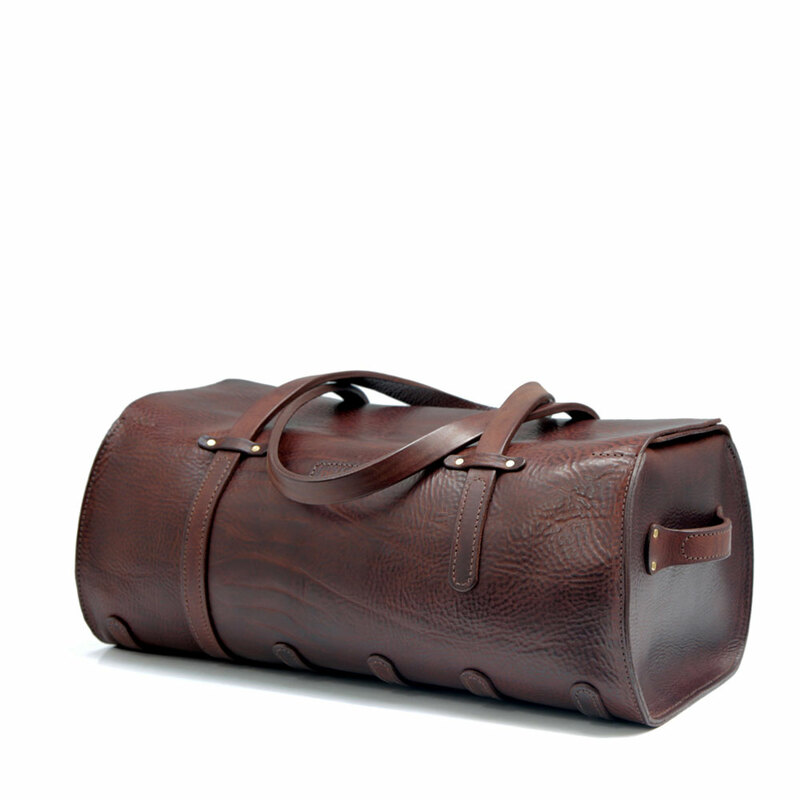 It’s long tubular shape gives it a vintage sports aesthetic. 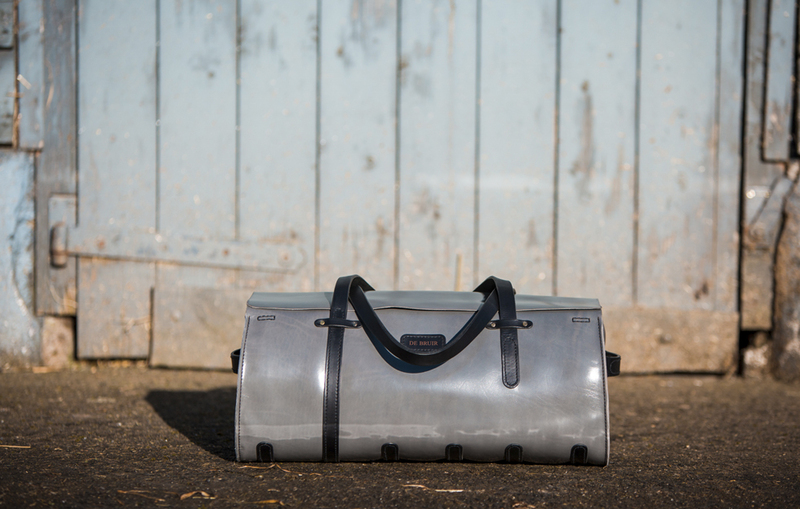 When the bag is open, it can be manoeuvred using the grab handles at each end. 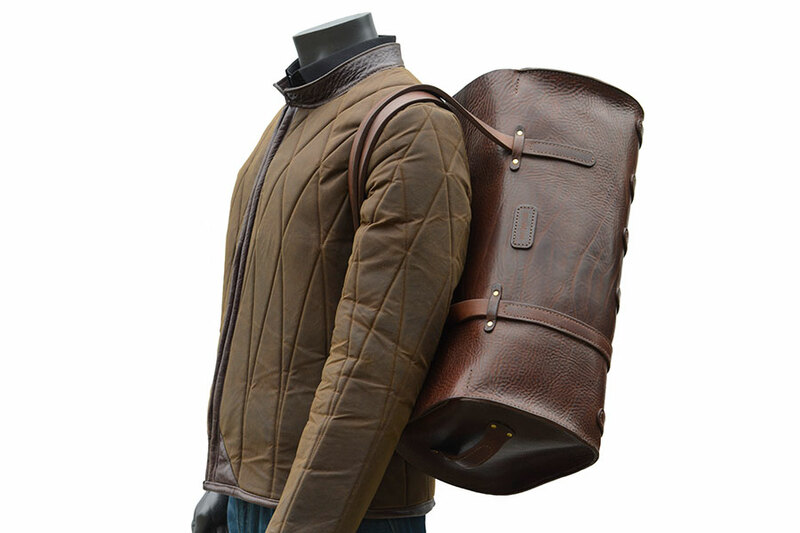 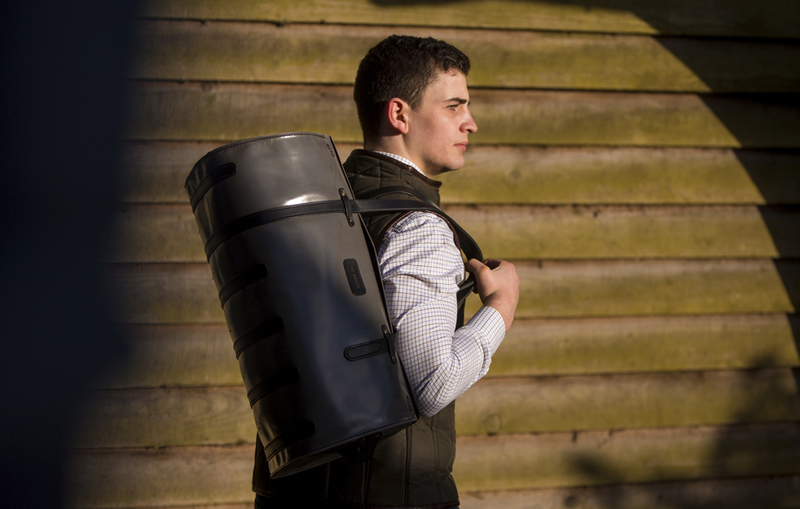 While in normal use, the long handles carry comfortably by your side or slung over a shoulder. 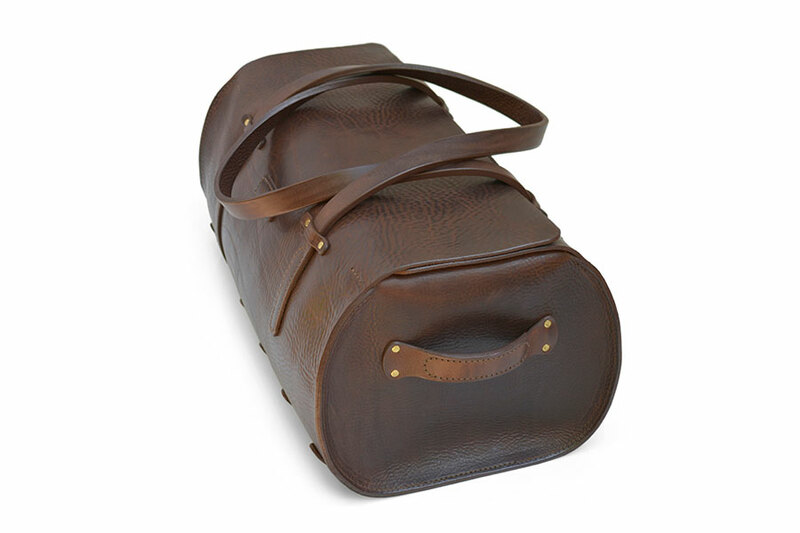 The Duffle Bag’s rugged construction is designed to withstand regular robust use.